If you are a nurse who wants to learn, grow and advance your career, Northwest Texas Healthcare System has opportunities for you. Our nurses have the chance to make a difference for patients and their families every single day. Northwest Texas Healthcare System is fully accredited by the Joint Commission. We are a designated Level III Trauma Center by the Texas Department of State Health Services. We have also earned Advanced Certification as a Primary Stroke Center by the Joint Commission, as well as many other awards and accreditations. We offer a comprehensive benefits package and a friendly, compassionate environment with opportunities in a wide range of nursing specialties. 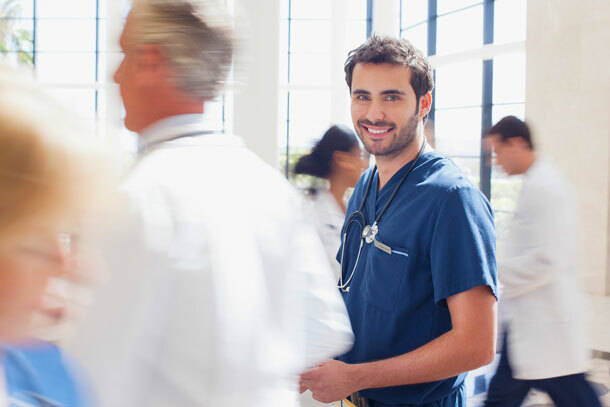 If you are an enthusiastic and caring professional who is excited to make a difference, we invite you to consider joining our team at Northwest Texas Healthcare System. At Northwest Texas Healthcare System, we want you to pursue nursing as a lifelong career. That’s why we offer a variety of programs and opportunities to help you learn, grow and advance your nursing career. This year-long program will help you transition from a nursing student to a nursing professional. The program will help you gain the confidence and skills you need to be a successful nurse. All newly hired nurses attend an orientation to learn about the culture at Northwest Texas Healthcare System. Our dedicated and highly qualified unit educators will make sure that you have the information and training you need to succeed in your new career. We love to acknowledge exceptional nurses who utilize a wide range of knowledge, skills and competencies. The program is designed to reward quality patient care and enhance your professional growth. We encourage you to learn and grow in your nursing specialty. Basic and advanced life support training including BLS, ACLS, PALS and NRP are available using the latest technology and equipment. We also encourage you to continue your education through BSN, MSN, doctoral programs and specialty certifications. Eligible nurses are supported through our reimbursement programs. We want you to be the best nurse you can be!